The Beltone micro-Invisa™ offers magnificent sound in a miniature package. It hides within your ear canal. Small size, big benefits. Natural Ear Directionality – Because nothing blocks the ear canal opening, sound is gathered and transmitted as nature intended. You’ll enjoy a highly natural listening experience. Beltone Promise™ hearing instruments are designed to simulate the way ears naturally process sound. As you encounter different sound environments each day, your hearing aids actually communicate with each other to automatically self-adjust—giving you a smooth and natural-sounding listening experience. 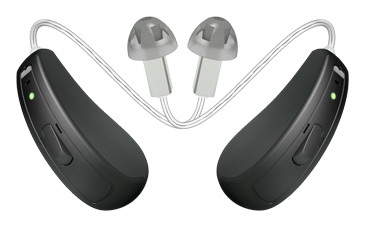 Beltone True™ hearing aids – the most advanced technology on the market. Introducing the world’s best app for hearing aids. All you need is Direct Phone Link 2 and SmartRemote to use your iPhone® or Android™ as a discreet remote control. Adjust volume, change listening programs, enjoy clear phone calls, and more. A simple swipe of your fingers is all it takes. The app is free, and easy to use. By checking this box, I confirm that I am the person listed above and that I permit Beltone to contact me by phone or email.